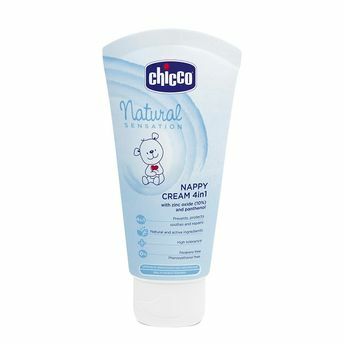 Chicco Natural Sensation is the new line studied to follow the natural development process of baby's skin. All formulas are inspired by the Vernix Caseosa composition, offering natural protection during pregnancy to cleanse, protect and nurture the baby's skin. The Nappy Cream from this range prevents, protects, soothes and repairs. Prevents - It prevents irritation and redness caused by external agents. Protects - It protects the skin and strengthens the natural skin defences by creating a barrier effect whilst leaving it free to breathe. Soothes - It soothes from the very first use, restoring the skin's protective barrier. Repairs - It repairs the skin, promoting the natural skin barrier regeneration process. Contains Shea Butter: Skin barrier regenerating Action. Explore the entire range of Rash Creams available on Nykaa. Shop more Chicco products here.You can browse through the complete world of Chicco Rash Creams .